AMD recently released the worlds most highest clocked CPU in their FX Processors lineup codenamed the FX-9590 which runs at 5 GHz. Additionally, AMD’s FX Vishera which include the FX-8350 offers 8 Cores and upto 4ghz clock at a sub-$200 price range against competitors from Intel. While AMD might not be ahead in the performance scene, they are definitely doing well by offering consumers more value. AMD Possibly Abandoning FX Processors – APUs All The Way! The FX Processors without a doubt have had a hard time keeping up with the Intel Core series processors in terms of performance and efficiency. In all of our reviews, we mentioned how AMD lagged keeping up with Intel in the process design and x86 performance scape. At this time, Intel has hopped abroad a much efficient 22nm process design architecture “Haswell“while AMD currently offers a refined version of the Bulldozer architecture called “Piledriver” that is a 32nm based SOI-HKG design. Only in 2014 would AMD make the switch to a 28nm with the Steamroller architecture but the new design would be limited only to its Kaveri and Berlin APUs. 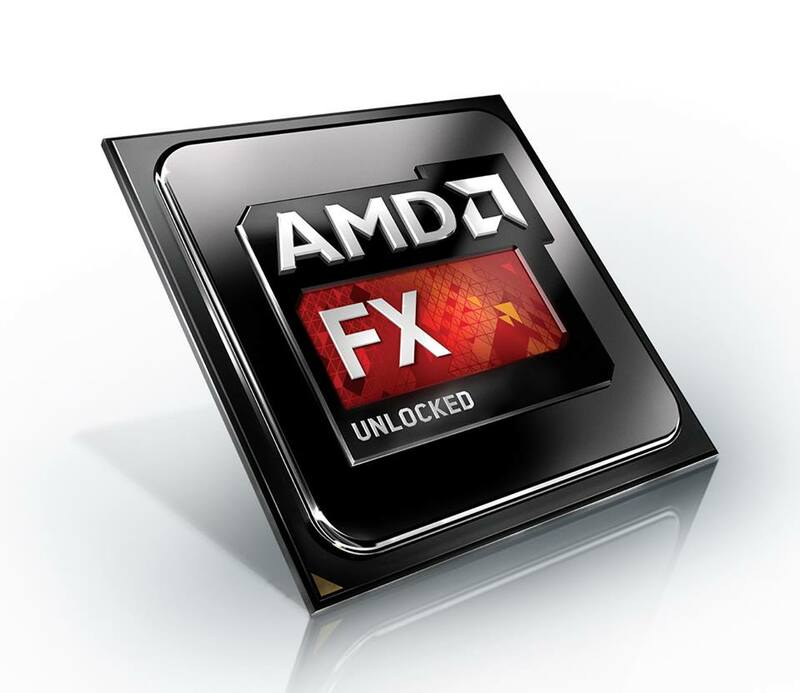 In 2014 and beyond, AMD would possibly not offer any more CPU under its FX Processors brand. This interesting report was brought up by VR-Zone who have been very accurate regarding AMD’s APUs in the past thanks to the leaked documents they got their hands on. From the reports which infact also showcase some AMD’s internal roadmaps show that the recently launched FX-9590 5 GHz clocked processor is supposedly the last legacy of the FX Processor Lineup. And it definitely seems so, as i mentioned AMD has lacked behind Intel in the x86 performance scape in terms of performance, efficiency and process design. By 2015, both Intel’s High-End desktop and Performance platforms would make the switch to 14nm Skylake architecture and 22nm Haswell. 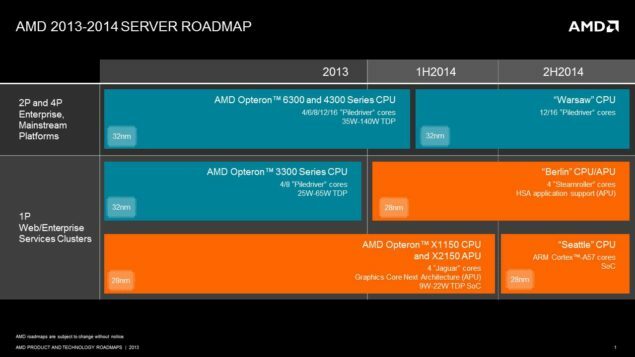 The best hope for AMD then would either be a refreshed Steamroller like Piledriver or their new Excavator with Carrizo APU which is very unlikely to go 16/14nm. You may remember the public server roadmap which AMD displayed a few months ago. The roadmap revealed that the only Enterprise processor to feature the new 28nm Steamroller cores would be the Berlin APUs while the Warsaw with 12/16 core will feature the Piledriver 32nm architecture and ship in 2H of 2014. This means we will not be looking at a 28nm Enterprise CPU till late 2015. But all these developments seem to show one trend, that AMD is not fusing the big cores in their enthusiast lineup but rather refining them for their next generation accelerated processing units. While FX Processors from AMD didn’t gain much attention, AMD’s APU have certainly gained alot of interest from consumers since their graphics side is strong against Intel flagship Iris core, they have the adequate and targeted CPU performance and are getting the much enhanced HUMA/HSA memory architecture that would give both the GPU and CPU to share the same memory pool much more efficiently. Their Jaguar and upcoming Puma cores seem to be doing well on the portable, handheld platforms and even the next generation consoles. So its a win-win situation for AMD’s APUs but not the FX Processors. With such a big demand for APUs, its easy to imagine the downfall of the FX Processors. So this could probably be the last generation of FX Processors we will ever see again because one thing is obvious from AMD’s roadmaps. They don’t show any new AM3+ desktop refresh or a new steamroller core for enthusiast platform. But we will wait for an official response from AMD on this report, maybe the reports from VR-Zone could be true but only for one generation of processors. Maybe AMD could skip this year like Intel are doing with their Broadwell architecture (Skipping it from the LGA socketed platforms) and emerging again with Skylake in 2015. With AMD, it could mean a similar scenario by skipping 2014 and re-releasing a refined FX lineup in late 2014 or 2015.